If you have fears regarding the validity your deceased loved one’s will, you have the right and option to speak up. 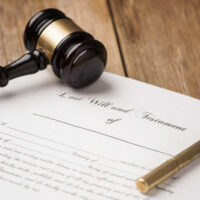 The first step in this journey is to speak with an experienced Florida probate attorney to determine if you there is evidence of grounds to contest a will. These may include mental incapacity, insane delusion, undue influence, fraud, and improper execution of the will. An attorney can review your situation, determine whether there is enough evidence to contest the will, and can help you through the legal process. You do not have all of the time in the world to voice your opposition to a will. If you receive formal notice of the probate proceeding before the will has been admitted, then you have 20 days in which to contest the will. Or if you receive notice of administration from the personal representative after the will has been admitted into probate, then you have 90 days. If you never received notice of the proceedings, you may have longer. However, you have to contest the will while the probate proceedings are going on. Working with an attorney as soon as possible ensures you do not miss an important deadline for this action. To begin the contest proceedings, you must file a Petition for the Revocation of Probate in the probate court. While this is going on, the personal representative of the estate is entitled to carry on with their duties, including gathering assets and paying debts. However, they are not allowed to distribute anything from the estate since if the will or a part of it is deemed void or invalid, then this could change who receives money, property, or other assets. If you file a petition in court to protect the will, the burden rests on your shoulders to prove that all or part of the will is void or invalid due to one of the allowed grounds. For instance, if you believe a family member or caretaker exerted undue influence upon your loved one to get them to change the will, then you must present evidence of these actions. Sometimes individuals add a provision in their wills stating anyone who contests the will in court is not entitled to inherit anything. This is often a method to stop quarrelsome or litigious family members for fighting over more than their fair share of a deceased individual’s estate. However, Florida does not enforce no-contest clauses, therefore you are not at risk of losing your inheritance if you head to court. If you prove an entire will is invalid, then your loved one’s estate will be distributed through Florida’s intestacy laws. If you prove only one or more provisions within the will are invalid, then the estate will be distributed based on the other provisions. If you believe your loved one’s will does not reflect what they really wanted or was made when the person could not understand what was happening, contact the Law Offices of Larry E. Bray, P.A. at 561-571-8970. We are prepared to help you today.